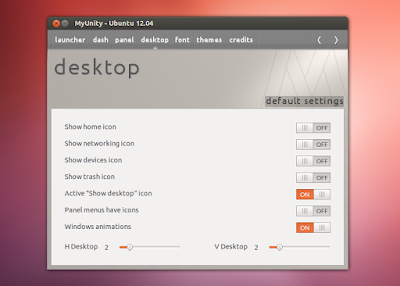 If you have recently upgraded to the new Ubuntu 12.04 and using the new Unity launcher, you’ll notice it dosnt have a “Show Desktop” button to click, like the old versions of Ubuntu used to have down on the lower panel. You can bring this nifty little feature back quite easily. The easiest way to get the Show Desktop on your Unity launcher is to install a program called MyUnity which allows you to make some simple changes. 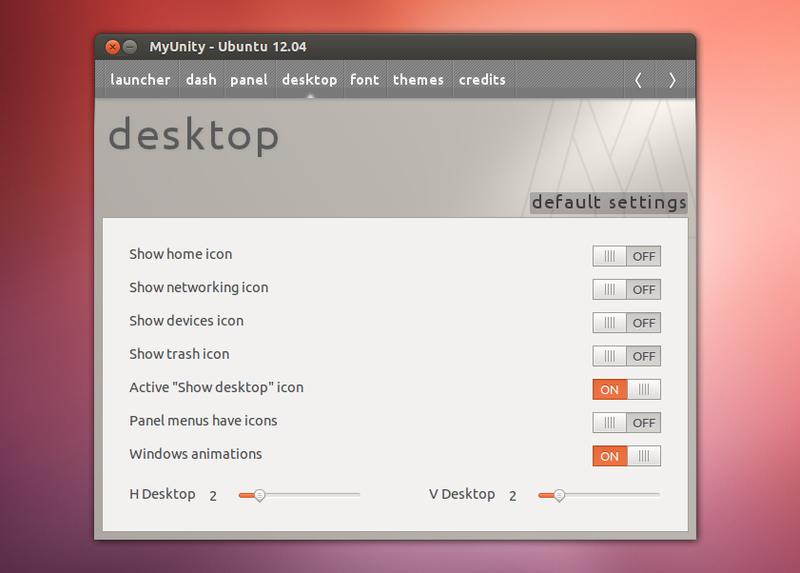 After installation open up the MyUnity program and click the “desktop” tab and turn on the active “show desktop” icon.